Contemporary Metal frame with felt back. 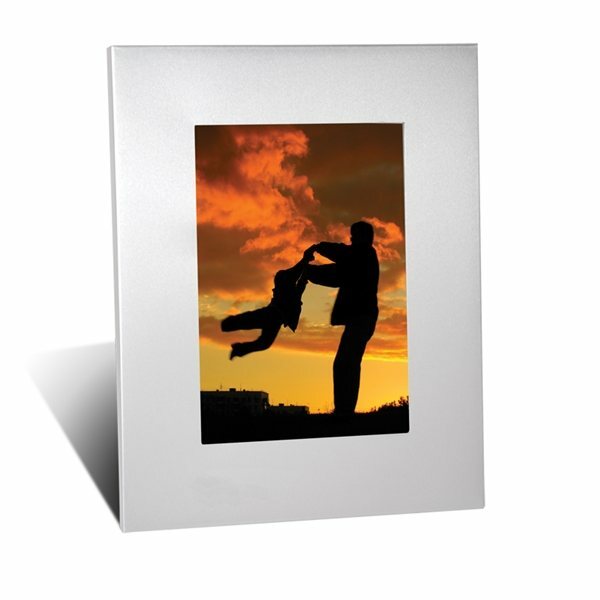 Photo window opening: 3.25" x 4.75". Features hinged easel that allows for either vertical or horizontal orientation. Ordered these 4x6 aluminum picture frames for our church 25th anniversary with our church logo. Price was superb. Excellent service and communication; nice design, fast delivery. Our church members loved it. We are using these to hand out to people at our sketch comedy show at the Comedy Store. Our audience were raving about them. Great product and super fast turn around. Thanks AnyPromo! Your products are great overall and cost effective. GO AnyPromo! This item worked out wonderful for us. The product is a superb value, a lot of products with this logo design all within an easy transporting situation!